ISRO successfully launches its 100th satellite Cartosat-2, along with 30 others in single mission from Sriharikota on 12th January 2018. The launch of 31 satellites, including three of India and 28 of six other countries including United States, by the space agency took place at 9.29 am from the first launch pad at the Satish Dhawan Space Centre located about 80 km northeast of Chennai off the Bay of Bengal coast. The 31 satellites with a combined weight of 1,323 kg have been integrated with the PSLV-C40 for deploying them in the earth's lower orbit after lift off. Of the 31 satellites, three are Indian and 28 are from six countries: Canada, Finland, France, South Korea, UK and the US. The Indian satellites are 710 kg Cartosat-2 series for Earth observation, a 100 kg micro satellite and a five kg nano satellite. 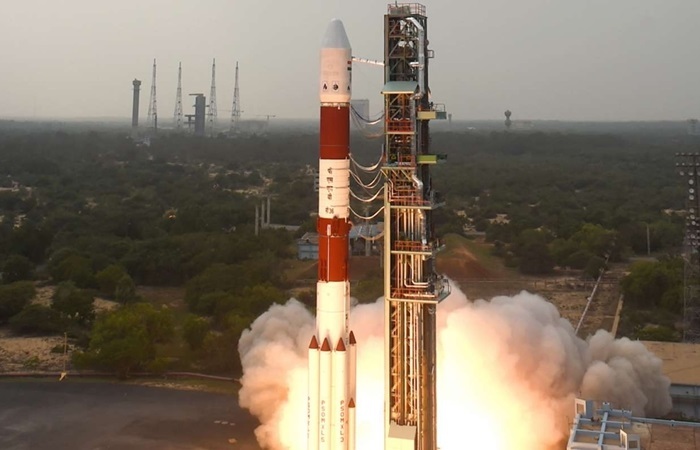 The first space mission in 2018 onboard the PSLV-C40 comes four months after a similar rocket failed to deliver the country's eighth navigation satellite in the earth's lower orbit on August 31, 2017.